Three NEW Disney Treats You CAN’T MISS This Month! 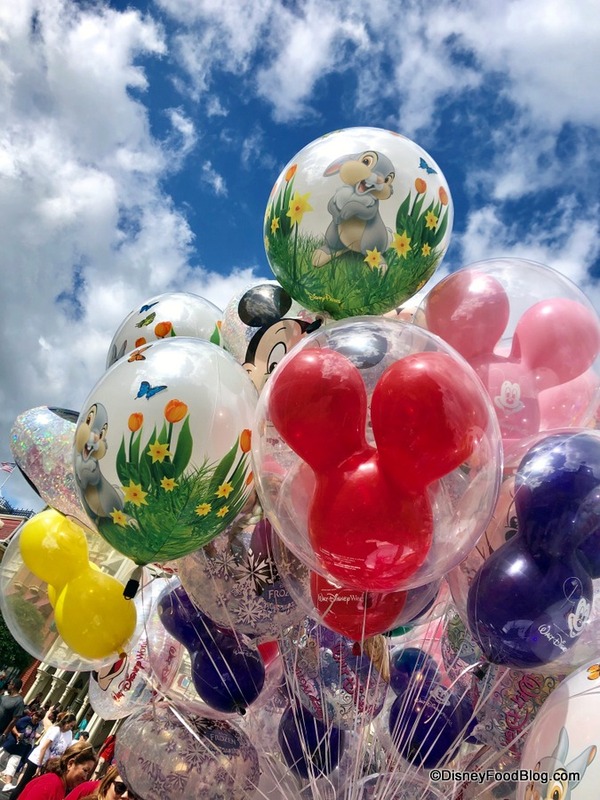 As we launch into March, we want to highlight some awesome new finds and upcoming events that we think you’ve got to check out if you’re at Walt Disney World this month! 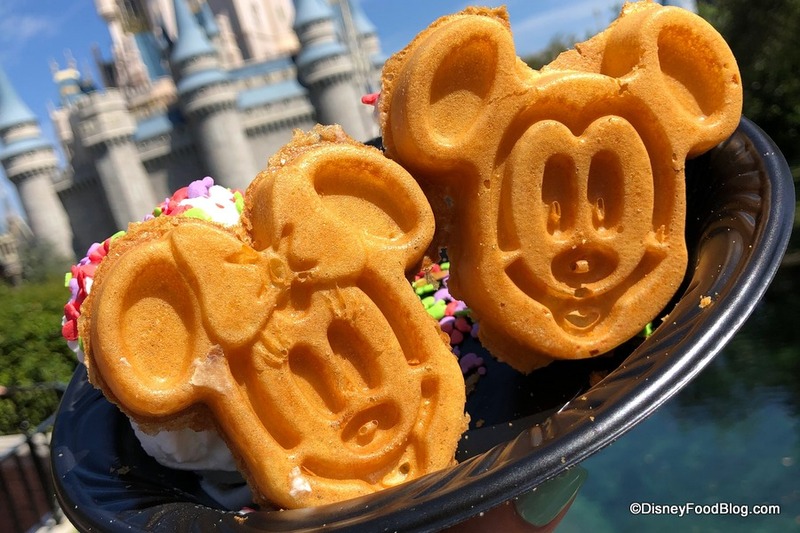 These are exclusive, Disney World must-eats that are taking the social media world by storm! Let’s check them out! February was a delicious month, but the crowning food achievement were Cones with Character! 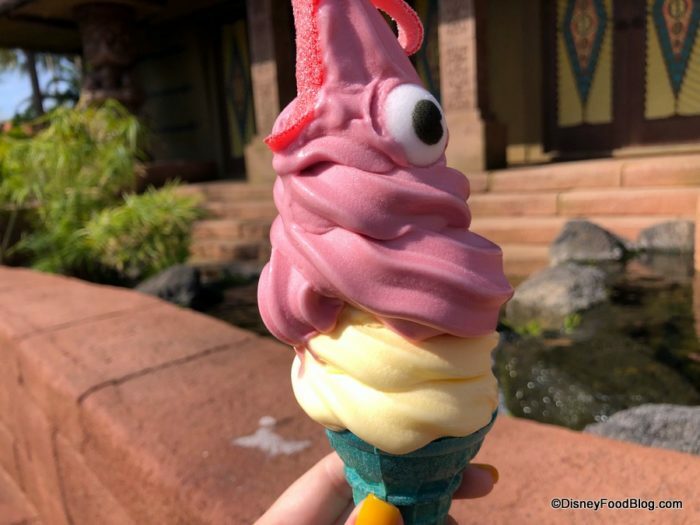 This is basically the advent of NEW DOLE WHIP FLAVORS in Disney World! Review (and the Cutest Pics Ever)! 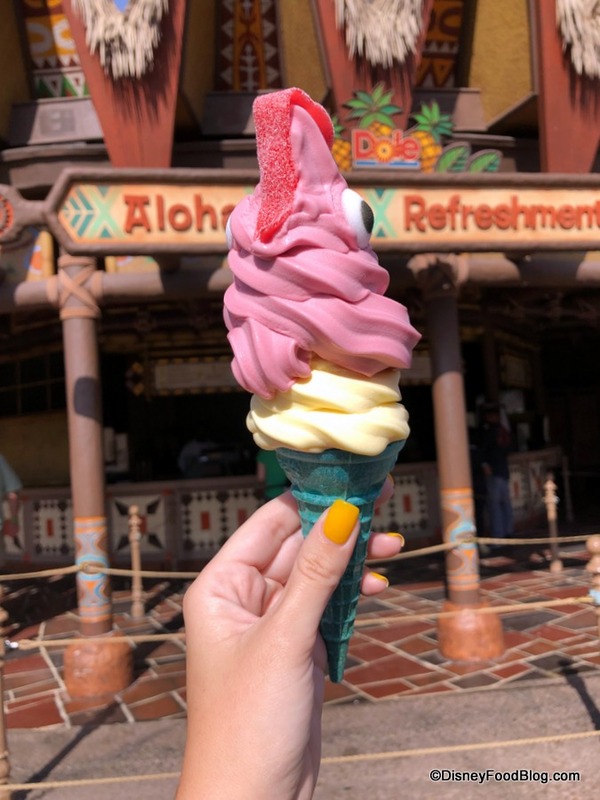 NEW Hei Hei Cone at Magic Kingdom’s Aloha Isle! Hi from Aloha Isle in Magic Kingdom, where we’re trying the NEW Hei Hei Cone! Inspired, of course, by Hei Hei from Moana, this new tribute-in-a-treat gives a nod to the rooster through its colors and garnishes to create yet another Instagram-worthy snack with character! 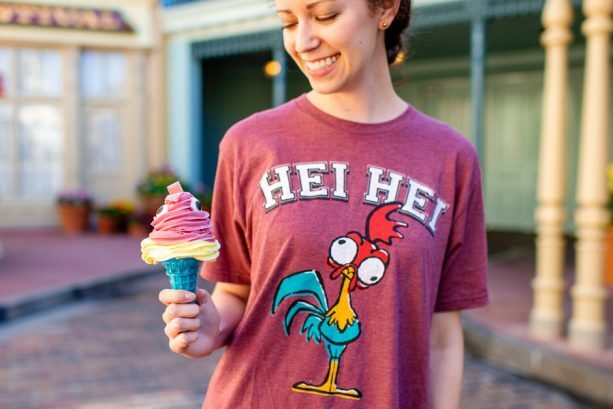 Sneak Peek at the NEW Character Cones — Hei Hei, The Lost Princess, and Up!-Inspired — Coming to Magic Kingdom! We’re so excited for this Sunday, February 24th to arrive… because that’s the day THREE new cones will make their debut in Magic Kingdom! These cones with character will pay tribute to Disney films and characters, and today we have a sneak peek! Here’s a look at the Hei Hei Cone coming to Aloha Isle! Again, this blue sugar cone will be filled with raspberry and pineapple Dole Whip finished with sugar eyes and sour candy. NEWS! A New Hei Hei Dole Whip is Coming To Aloha Isle! PLUS — More New Additions! 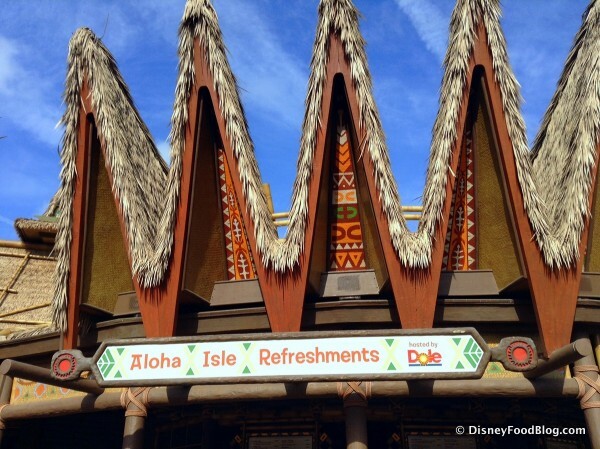 A new menu item popped up on the Aloha Isle menu today in Magic Kingdom and we’re SO excited to try it! PLUS — there are fun new Mickey and Minnie ice cream cups to house your Dole Whip! 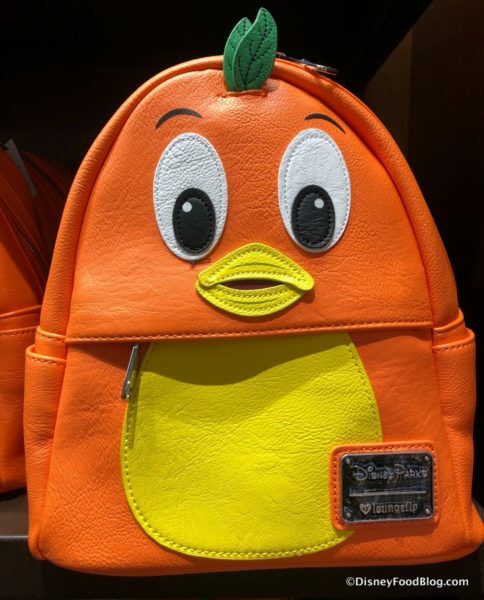 Check Out the New Orange Bird and Dole Whip Loungefly Backpacks and Wallets! 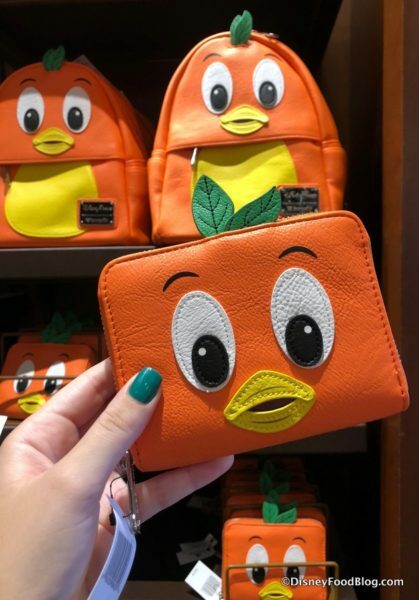 Why, it’s the Little Orange Bird from Adventureland’s Sunshine Tree Terrace! You can find him in the Mini Backpack as seen above, along with a Little Orange Bird wallet. 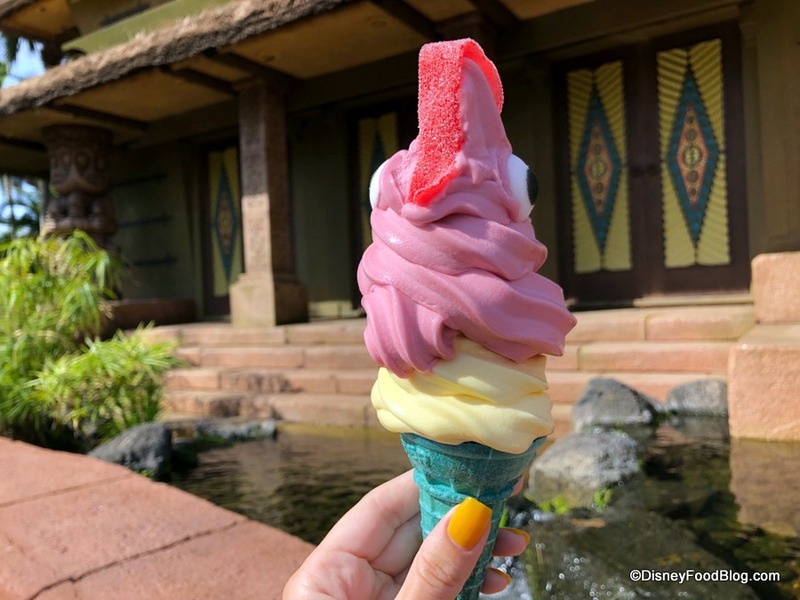 Five Frozen Treats You CAN NOT MISS at Walt Disney World’s Magic Kingdom! 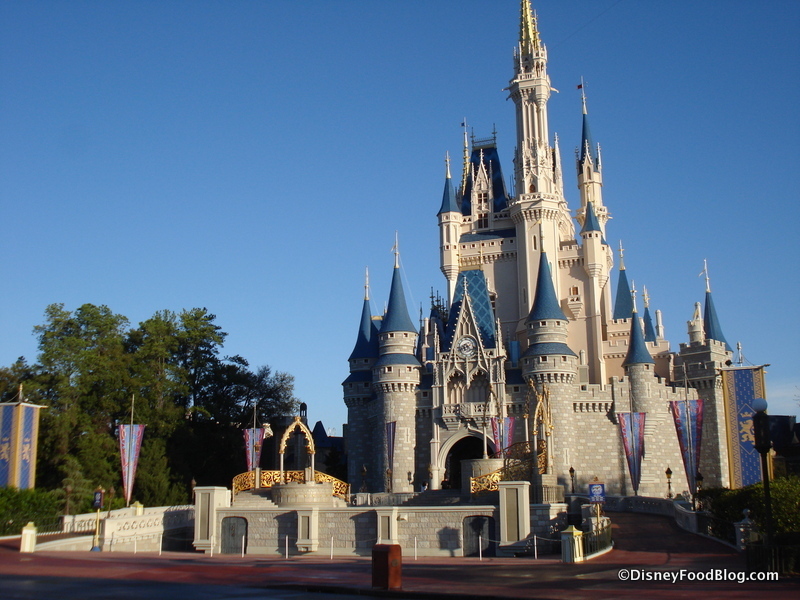 One of the greatest attributes of Walt Disney World is its location because even when the rest of the country is ensconced in winter, central Florida is typically still warm (and in the summer it’s downright tropical!). And you know what that means: lots of frozen treats to eat and drink! We’ve had ’em all — and there are some old favorites and some NEW options we’re pretty sure you’re going to want to get your hot little hands on! Here we share Five Frozen Treats You Can’t Miss at the Magic Kingdom! First up, as you make your way down Main Street, U.S.A., pop into Casey’s Corner. It’s there you can find the Mint Julep Lemonade Slushy! This family-friendly drink is a terrific mixture of sweet and sour — with that refreshing slushy texture and temperature! The NEWEST Place to Get Your Spiked DOLE WHIP in Disney World! 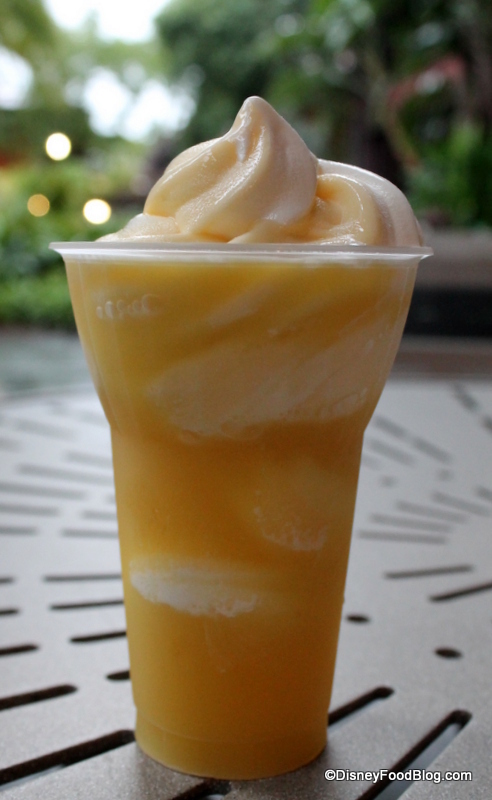 Though you can find Dole Whip (the famous Pineapple Soft-serve) at more than a couple of places outside the Disney World parks these days, it’s long had a special place at the Polynesian Village Resort before it started popping up in other locations.